The bad news is that there are just too many disconnects between their stated values and actual practices. The ‘do good and do well’ slogan is useful for public relations purposes, based on selective activities designed to bring maximum publicity. 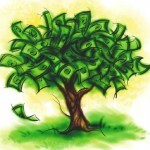 The reality is that the chase is still after money, money, money. Shareholder value. These are not ‘bad’ organizations. They all have done the vision and values thing, published and posted documents about compliance, codes of ethics, codes of conduct, corporate social investment endeavors and sustainability reports. Yet every day we read of similar disconnects and lack of virtuous behaviors across all industries. 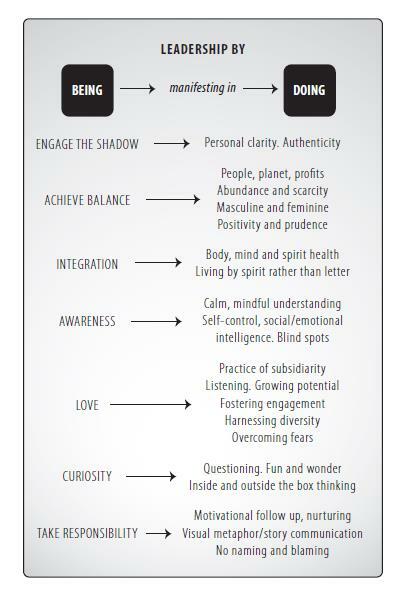 Our values, virtues, vices, behaviours are a choice, and sometimes we’re unconsciously primed to adopt them. The same thing applies at the individual level. Consider the ‘self-serving’, primitive drives, vices and wealth-addiction that depict The Wolf of Wall Street character Jordan Belfort. Extreme?There are ways in which we all may be unconsciously primed to (mindlessly) adopt certain values, which then inform our (shadow-side) behaviours. These primers come through many sources including advertising messages, reports about celebrities, movements to convince people that laws of attraction and abundance can work for the betterment of their well-being, including financial well-being, and so on. What if the journey and destination were different? What if the business destination and the journey were different? A large number of business organisations use, as their route to their goal of maximising shareholder value, the Kaplan and Norton business economic model – the Balanced Scorecard.7 The linear cause and effect logic is that, executed properly the right vision, values and strategy inform internal systems and process effectiveness and efficiency, which in turn leads to employee satisfaction, engagement and behaviours, which leads to the right customer interactions and transactions, satisfaction, engagement and loyalty. The end result is sustained shareholder value. Profit. What if an alternative paradigm was followed? What if workplaces were free of all fear and dysfunction, within departments and between silos? Desired behaviour was spontaneous – with no need for heavy compliance mechanisms. Business systems, processes and technology took account of the human factor as well as of wider society and the environment. You can read an examination of the possibilities, and examples of successes, for achieving this along the entire business chain in The Virtuosa Organisation, an ebook by Graham Williams, Dorian Haarhoff and Peter Fox. Gareth Morgan reports a story related by the 4th Century BC. 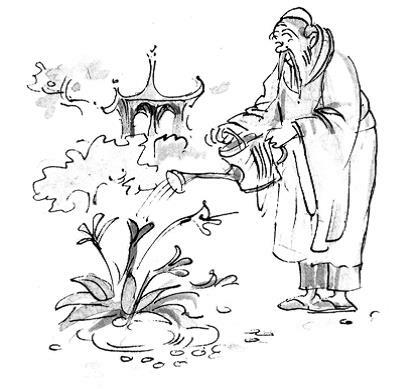 Chinese sage Chuang-Tzu8: Traveller Tzu-gung encounters an old man struggling ineffectively to irrigate his vegetable garden. Tzu-gung said, “There is a way whereby you can irrigate a hundred ditches in one day, and whereby you can do much with little effort. You take a wooden lever, weighted at the back and light in front. In this way you can bring up water so quickly that it just gushes out. This is called a draw-well”. Anger showed in the old man’s face, and he said, “I have heard my teacher say that whoever uses machines does all his work like a machine. He who does his work like a machine grows a heart like a machine, and he who carries the heart of a machine in his breast loses his simplicity. He who has lost his simplicity becomes unsure in the striving of his soul, which does not agree with honest sense. It is not that I do not know of such things; I am ashamed to use them”. What if social connection thrived? How does the public view your impacts on poverty, environment and social evils? What if the public was invited to measure not only their own narrow ‘level of customer satisfaction’ as direct clients, but also how they viewed the organisation’s impact in terms of alleviating poverty, caring for the environment, making constructive investments, and standing up against abuses and corruption (especially if structured questionnaires were not the main information-gathering method used)? What if businesses drastically improved their job-creation efforts? Also improved their concrete assets to financial assets ratio, thereby putting their money to better use? What if business went for reasonable, rather than maximum profits, so adopt a sustainable profit-feathering rather than profit-maximisation paradigm? Aligned executive pay more equitably with worker pay. Were properly measured on their triple-bottom-line achievements? What if business started at the heart? 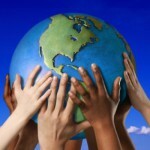 What if it moved past ‘it’s time to return to values’, and ‘we believe in doing good and doing well’. Had instead a culture of being driven by meaningful, consistently behaved virtues, and performed on the basis of ever-expanding virtuous cycles? If it holds true that culture (the organisation’s personality and character) is what enables resilience and nimble adaption, drives loyalty and results, sets a winning business and its performance apart – and that character consists of appealing, consistently displayed virtues – then imagine the impact! Moving into virtuous cycles – a ‘moonshot’? A move into being a virtuosa organization is a moonshot in the sense that it does require a breakout from locked-in to quite radical thinking. It is not easy but quite difficult and challenging. An incremental change is simply not good enough, and the size of the challenge is inspirational. On the other hand it is not a moonshot because there is sufficient reason to believe that it is possible, and a clear path to success can be demonstrated. All of these shift challenges are fully addressed in The Virtuosa Organisation. A map through the corporate jungle is provided. Inputs, imagery, stories, reflections, exercises, examples and a case study are all presented in a way that makes examination and modification of organizational processes, behaviours and culture practical, doable. In deciding on an illustrative set of virtues we considered approaches from classical antiquity, religion, ancient traditions, philosophy, psychology, modern societies and business. We considered distinguishing between terminal values (end-state or goal values such as self-esteem, independence) and instrumental values (those that enable the reaching of the goals, such as courtesy and ambition). We settled on a set of seven Da Vinci virtues because the man is intriguing, his virtues provide a non-threatening, illustrative approach to being and doing in the business world, and they can be explained and demonstrated through his life and works. The Da Vinci virtues are neither Euro-centric nor Afro-centric. They straddle East and West, ancient and modern, young and old. And they have great relevance to the quality of today’s world of work. Of course, every business needs to arrive at its own unique set of core virtues and ways of entrenching these into the culture – in order to become a dazzling, virtuosa performer. Ultimately it comes down to organizations answering not ‘what we should DO,’ but rather ‘what should we BE’. Things like authenticity and integrity ‘arrive’ when core values such as the Da Vinci set are consistently present. Here is a special offer for Green Times readers only: The first 5 readers to respond and comment on this article will each receive a free PDF version of The Virtuosa Organisation. It would be wonderful to share with you our ‘mechanisms’ for running a virtuosa organisation June … I’m excited by the possibilities …. Another book, free online, which has a similar message maybe to The Virtueosa Organisation, is “Sacred Economics” by Charles Eisenstein. Well worth a read. Hi Eugen. I really like Charles Eisenstein’s ideals and philosophy and the new economic world he envisages – it certainly is well worth the read – paradoxically the sacred and the secular are one. Hi Graham Thanks for that. 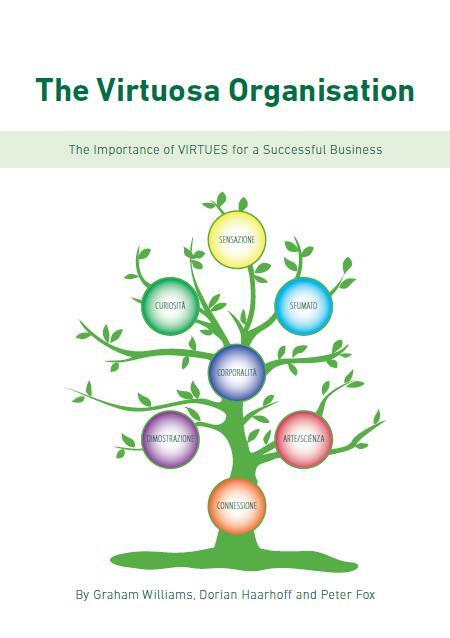 I am not in the corporate world, but will consider reading The Virtuosa Organisation. Judging by your comments to June, you seem to be practicing some/all of its message. Eugen and June: Elma and I decided to give free copies of The Virtuosa Organisation to the first 5 to comment of this article. So both you and June are entitled to that – if you email me at centserv@iafrica.com and let me know which format you’d prefer, I’ll do that. At this stage formats available are PDF, ePub, Kindle/Mobi and Nook.